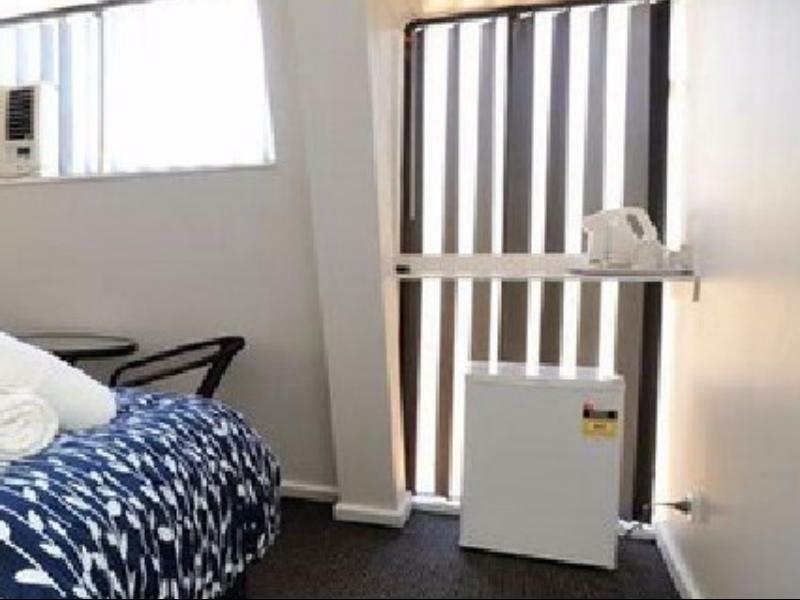 Ada pertanyaan untuk Sails Geraldton Accommodation? Terletak strategis di area pantai, hiburan keluarga, melihat-lihat di Geraldton, Sails Geraldton Accommodation menyediakan tempat yang kondusif untuk melepas penat dari kesibukan Anda. Pusat kota terletak hanya sekitar 1.3 km dan bandara dapat ditempuh dalam waktu menit. Sebagai sebuah tempat untuk beristirahat dan bersantai, hotel ini terletak hanya beberapa langkah dari berbagai obyek wisata kota ini seperti St Francis Xavier Cathedral, Rumah Sakit Regional Geraldton, Katedral St Francis Xavier. Sails Geraldton Accommodation menawarkan pelayanan sempurna dan segala fasilitas penting untuk memanjakan para wisatawan. Fasilitas terbaik hotel ini termasuk WiFi gratis di semua kamar, check-in/check-out cepat, penyimpanan barang, Wi-fi di tempat umum, tempat parkir mobil. 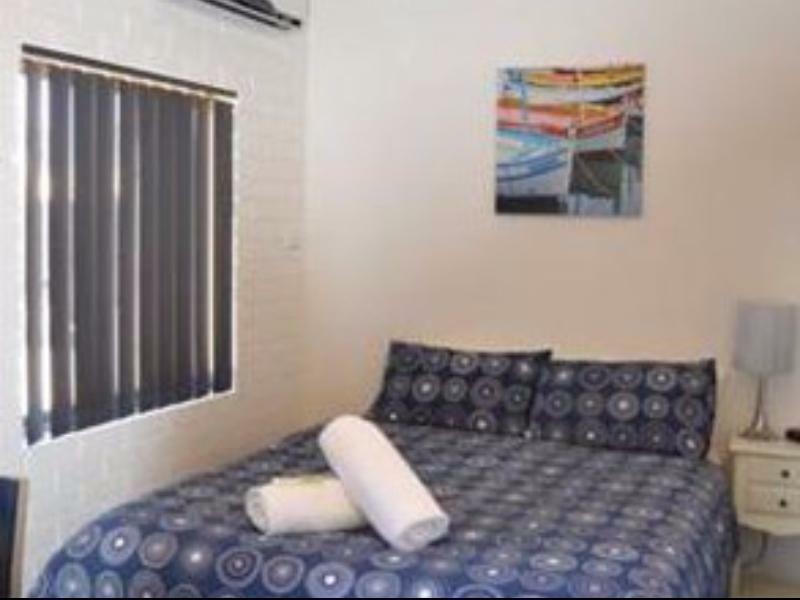 Sails Geraldton Accommodation memiliki 21 kamar tidur yang semuanya dirancang dengan citarasa tinggi. Banyak diantaranya memberikan kenyamanan seperti televisi layar datar, akses internet - WiFi, kolam pribadi, kamar bebas asap rokok, AC. Fasilitas hiburan hotel ini seperti kolam renang luar ruangan, taman dirancang untuk bersantai. Dengan lokasi dan fasilitas ideal yang setara, Sails Geraldton Accommodation dapat memenuhi berbagai macam hal. This place was not at all what we expected from the website and pictures. We arrived with no staff or other guests there, apparently, they all leave at 4pm. The place inside looked like a run down hostel. The old leather couch in the shared space was peeling and had holes in it. The room had no windows and was dusty, I had to use my asthma puffer which I only take for emergencies and never use. The room had a musty smell, the bathroom damp. The wall near the window was peeling from mould. We were shocked and left early as we could the next morning to get out of there. Waste of money, a shabby cheap hostel at best. Awful all over. We stopped off here for a night on our way up to Exmouth. Our room was clean, spacious and comfortable. It was exactly as the photo's showed. Outside, there was a great bbq area room with plenty of seating overlooking the fenced pool. The pool was a decent size and pretty clean. There was a large shared kitchen that had everything you could possibly need from pots and pans to cooking utensils..and the all important bottle opener. There was a small mix up with the payment for the room, but it was sorted out quickly and efficiently. Very happy with the service. We had a very nice stay at Sails, Geraldton. The accommodation of bedroom, bathroom, dining area with mini kitchen and outside patio was good for our length of stay, but lacked storage for clothing for a longer stay. The staff were very helpful, particularly when I had to call out a staff member after hours because I'd locked my key in the apartment. Although I didnt use it myself, I was impressed with the free use of a laundry on the premises. Great if you have children's clothes to wash during a holiday. We ate in once and found the facilities fine for our needs. I would use Sails again and can recommend it. It was ok, the room I was in must have been a backpacker style, above reception. I would imagine the other rooms where more motel style. It had the layout but cheap and thin walls, I could hear the neighbour cough and fart.. Not a lot of privacy . No major complaint though. If you are looking for close to the centre then it's good. But if you want quality go the proven brand names as there was only 20 bucks difference. Very pleasant they even made me a coffee while a waited for a taxi the next morning wished it was hotter so l could have used their lovely pool area only problem was niose from the main road but l was at the front of the building so to be expected. Very pleased considering it was a late booking. Reception staff was very efficient and helpful. Request for extra bed was no fuss. We stayed 3 nights with no room service at all. Breakfast was not available.Power went off for a whole day without us being advised. Price of the room was the same as for anyone else even though YOUR marketing says that the price was discounted. No evening meal available unless you are prepared to take a meal from a plastic container and cook it youself!